The latest in speargun design; the Nemrod Hellfire Elliptic comes loaded with features to improve your hunting experience. Plenty of use and abuse in tropical and temperate waters since 2009 has established this speargun as an outstanding performer. Forget about those mass market brands - with amazing accuracy, perfect balance, and ease of use; this speargun is as good as it gets. Available in 105cm, 115cm, and soon in 125cm lengths to cater for any reef environments. 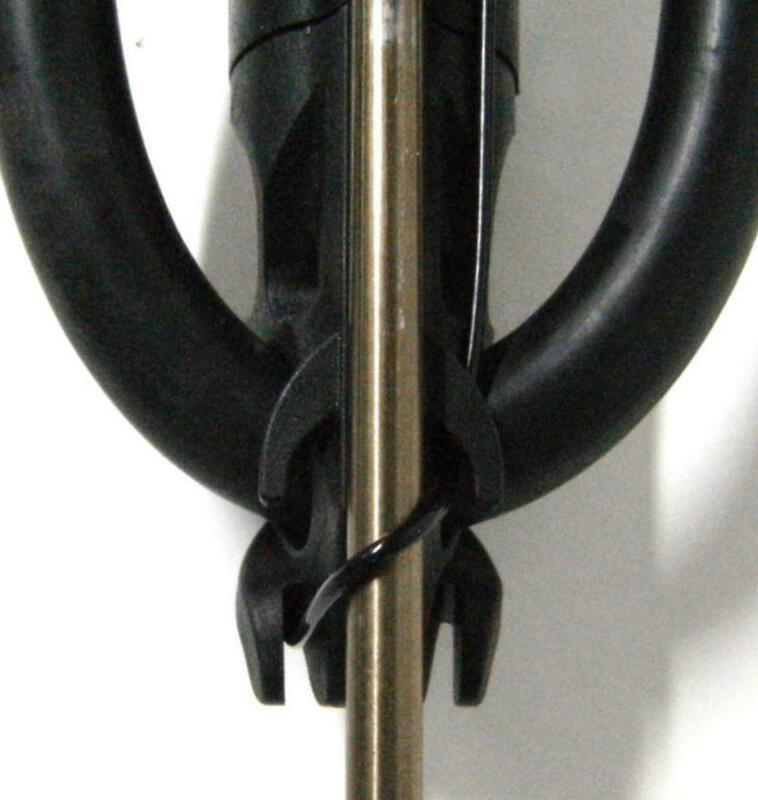 The alloy barrel is over-moulded with a dense polyurethane. The integrated rail provides for silent shaft operation, the elliptic shape improves tracking, increases barrel rigidity, and gives the gun a lighter feel; similar to a carbon fiber barrel but without the recoil. This speargun comes with an open style muzzle which is fitted with a very heavy duty pivoting aparatus that locks the shaft in place when loaded; this significantly improves aim, relieves shaft vibration while tracking side to side or up and down, and allows for very quick re-loading. An open muzzle feel without the associated loading frustrations. If However you prefer an open muzzle, the easily removable pivot aparatus allows quick conversion to an open muzzle format with single or double rubber. The handle is fitted with an "INVERSE" trigger mechanism. The mech is silent when fired, with silky smooth operation and extra wide opening for quick and easy loading. This style of mechanism locks the shaft approx 100mm further into the handle compared to traditional mechanisms; this increases rubber loading length resulting in greater power - example the 130cm gun has the rubber load length and the power of a 140cm gun etc.... See table below. The sear and trigger are stainless steel; the safety is slimline and well positioned. The stainless steel line release is positioned to the side of the handle so a reel may be easily fitted to the bayonet adapter provided. An adjustable trigger positioning dial allows you to adjust the trigger forward or backward to suit any hand size. The comfortable ergonomic handle is positioned closer to the shaft to improve control and aim qualities. A special "Ergonomic Right Handed" grip is fitted to the handle. A special "Universal" grip is available as a free option for "Left Handed" persons at time of purchase. The gun comes with an extra long 7mm stainless steel twin notched universal euro shaft hardened to 44RHC. The extra length accommodates the extra load length of the trigger mechanism as well as providing a decent shaft overhang. Comes fully rigged with 18mm high power 100% latex bands, dyneema bridle, 1.8mm black monofilament shooting line, heavy duty pigtail swivel, and shark clip to handle.